Do Wisconsin campaigns mean anything any more? The bombshells dropped in Gov. Walker’s 2015-2017 budget give rise to the sobering thought that the recent gubernatorial campaign was akin to Kabuki Theater. What does a campaign mean when almost none of the major policy departures contained in the budget were proposed or debated during the year-long exchange of policy ideas by Democrat Mary Burke and Republican Scott Walker? The major issue in that hard-fought and money-drenched contest was job creation. That priority has almost disappeared from the Republican dialogue now coming out of the governor’s office and Republican-controlled capitol. As if to declare victory, the current focus is now about workforce development and filling jobs. Lest we celebrate prematurely, there are still about a half million unemployed or underemployed adults in the state, many in the central city of Milwaukee; we still have a brain drain of more than 10,000 college graduates; and our wage levels are still in the bottom third of states. That issue and the aftermath of Act 10 figured prominently in the Burke-Walker exchanges. Lesser issues like off-shoring of jobs by Trek, a cheap shot, a trumped-up charge of plagiarism and the influence of Koch brothers’ money also titillated the press. The citizenry did get a picture of where the two candidates would try to take the state on jobs and public union powers. And they learned again that Gov. Walker would not raise taxes of any kind. 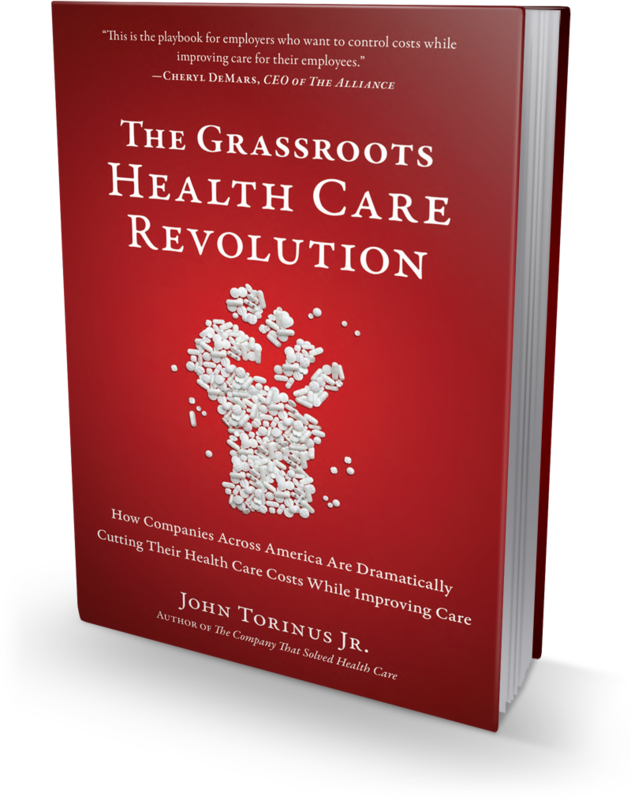 • Zero out the Stewardship Fund that has been supported by both parties for more than 60 years? • Strip the Natural Resources Board of its policy-making authority after eight decades in that role? • Cut out bonding for public buildings in favor of $1.3 billion in new highway bonds, which will be paid off by taxpayers down the road? This is government by surprise. Even legislative leaders appear to have been caught off guard. Gov. Walker’s style of governance – throwing out broad-brush policy shifts without a lot of input beforehand – is especially relevant as he runs for president of the United States. But almost no one saw Act 10 coming. Without taking up its merits, all would agree it was an ambush.The legislature was left to flesh the broad-brush proposal out amidst a firestorm of controversy and protest. Act 10 helped Gov. 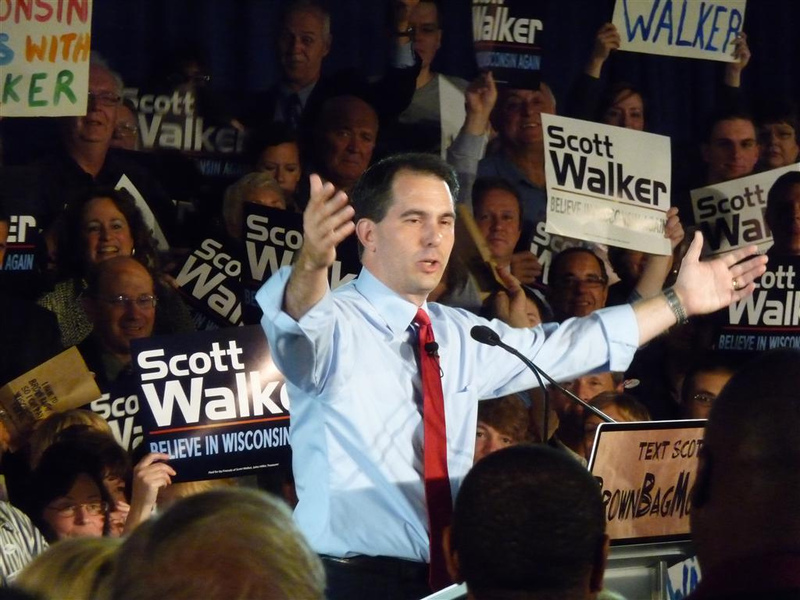 Walker to balance his budgets, as he promised, but it was equally a political move that stripped public unions of membership and financial resources for future campaigns. Its abrupt adoption divided the state as never before. Clearly, we are headed for another round of the same method of leadership. The governor must figure that government by lightning bolts from the mountaintop is the only way to get traction on large, intractable issues. Once again, though, the legislature will have to figure out what do with the budget bombshells. That branch of government has become the only base for deliberation on major policy. Past governors have used commissions and task forces to provide some deliberation before launching major policy initiatives. Legislators will have to get input in a short time frame on just what a UW authority will look like. Will it have control over tuition? Will it be able to cut away from the state’s expensive health plan for state employees? Will the governor appoint all regents? Will it be able to add and subtract majors and campuses? A Blue Ribbon Reorganization Commission could have sorted out some of those issues, and still could, but there’s not much time for that; the budget has to be done in a couple of months. The university is one of the state’s greatest assets, and people here care about its future. Ditto for our natural resources. The legislature will have to sort out the governance of that great state asset as well. Will legislators get rid of one authority (the resources board), while creating another one for the university? Is all this presidential politics, or is there some unifying government philosophy at work? It’s hard to see a philosophy of governance, other than the elimination of citizen input. Another example: a low-key issue during the campaign was right-to-work legislation. Gov. Walker said it would be “a distraction” in his second term. A few legislators teed up the issue in their campaigns. But it was a minor issue at best, even though many voters guessed it would become a major GOP issue if the party controlled both houses and the governor’s chair. Even though low priority, it has become a page-one issue. Call it a head fake. It’s now high priority for the GOP, even though only 8% of the state’s private work force is unionized. Non-union high growth startup companies, which will define the state’s future economy, also don’t care. Most business people support right-to-work legislation, but it won’t change much at their companies. The status of being a right-to-work state does have some symbolic value. It will help with recruiting of outside companies, but that tactic is of low impact on job creation here. As for future campaigns, citizens can be forgiven if they largely write them off as a barometer of what will happen after an election. Only very general approaches to government come clear in today’s campaigns dominated by ten- and 30-second TV spots. This is twice now that Walker has campaigned on jobs promising that Wisconsin is on a comeback and there are jobs galore out there if the people really want to work and our economy is on a roll. Now we have Fitzgerald tell us that RTW is needed to jump start the economy and bring jobs to Wisconsin. All of this steers the public away from the truth that Walker’s tax cuts without enough revenue coming in to cover them put the state in a deep fiscal hole. It also hides that Walker’s budgets in order to balance have added $5 billion dollars to the state credit card. This does not count the fact he failed to pay debt as it came and refinanced it adding increased interest and pushing it down the road for taxpayers to deal with after Walker has bid goodbye to Wisconsin. People need to wake up and look behind Walker’s rhetoric and realize he is cutting and killing needed government services and at the same time piling on debt to future generations. His failure to campaign on the extreme right wing conservative issues that he has imposed on the citizens of this state and govern by dropping bombs hidden away in the budget is not the Wisconsin way and quite frankly makes Walker not a truthful governor! I appreciate your take on our current psuedo-governor and his policies that are causing havoc in our state. But please reflect a moment on why you have supported him in the past without question. Maybe then you, and all of us, will have a better understanding of how this snake oil salesman has taken over WI. Thanks. I always read your blog because I feel you are the most “common sense” of those on the right, more like the Republicans of my youth. But I have been disappointed that you didn’t call out Walker before the last election on some obviously problematic issues, education and conservation to name a couple. Now the barn door is open and we are stuck with him for another 4 years. I say that because he has no more chance of being a presidential candidate than I do. I voted for walker in the past and remember him saying that right to work had to be an issue in a campaign. It wasn’t. I feel that is a lie. Sir, have you never heard of the likes of Karl Rove, Grover Norquist, or ALEC? Wow, what a quote by Rove. Campaigns mean nothing, and neither do we. Lots of reasons for this including gerrymandering and money, but whatever the causes Elizabeth Warren nailed it when she told her constituents that the game is rigged. Citizens have long been cynical about politicians. Witness the standings of Congress and other politicians in the polls. Can it get worse? The top-down approach will acerbate the negativity. It doesn’t have to be this way. “issue” was totally orchestrated with Walker the conductor. The only question was when it would come up, and given the negative response to his budget from corners normally supportive of him, the special session was a very clever “distraction.” Now budget stories are on back pages. His entire budget is fashioned according to the Grover Norquist’s “starve the beast” philosophy, ALEC and Koch priorities for his presidential primary campaign. We in Wisconsin are left to suffer. The Roberts Court and Citizen United get a big assist on this basket. Nice seeing you last week in your natural environment. First, let me echo the point made by Old Baldy: thanks for this post, but also running this blog. I think that it is a great opportunity to engage with you or Bill Kraus or others (even Marc Eisen when he chimes in). I think that is fantastic. Second, this may be lengthy, but that is because there is a level of sophistication that explains why you and us and everyone else missed these cues. I will try to be concise, and I put links to the few articles I reference at the end. The point of the campaign is not to tell someone what you’re going to do once in office. Rather, the point of the campaign to get elected. Those are two different things, as your post seems to suggest in a roundabout way. Elections require the appearance of legitimacy: no guns, no bombs, no violence, but a ‘democratic’ process over a few months. Campaigns legitimate people’s beliefs in authority so we can later point back to them and say “See? We followed the democratic process.” That is why campaigns matter. The claim that Walker won three legit elections constantly comes up. However, if you know that voters won’t like what you are going to do once in office, then yes, don’t reveal them in a campaign. Keep them hidden because the point is to get elected. That is the only rational thing to do. Back then, Wisconsin was targeted by those 15 people. The goals that we now see in policy were formulated at those meetings. So was the strategy to achieve those goals. And it’s the strategy—not the goals—that reflect the recent Gov. campaigns. So yes, that 2007 meeting is why are all *gobsmacked* when legislation has to be rushed through in extraordinary sessions or come down as lightening bolts from the mountaintop. Walker does not have to level with us in a campaign because there is a “script”, a plan already in place for Wisconsin, running in the background that everyone else is operating on. And I highly doubt any goals decided in that meeting were about improving the Milwaukee-Madison corridor the improve the economic infrastructure of the entire state, or helping solve the State’s impending skills shortage (like nursing), or even addressing rural education or healthcare problems. Finally, please recognize the paternalism behind this entire “strategy” we have been handed in the recent “campaigns.” Fifteen “intrepid activists”—many of whom are partially rooted elsewhere and have access to resources you or I will never see in our lifetimes—decided that you and I and everyone else in this state could not be leveled with. We are too stupid to decide how we want things run for ourselves in Wisconsin. In their view, voters can’t be trusted to make their own decisions. Because fifteen people knew what they wanted is not what many voters in the State might want, they came up with a strategy to convince us how they were going to give us Goal “Y.” But what they really meant to dish out was “Z.” From a mountaintop. It is Big Government Liberalism in reverse, see? Very unimaginative. Thanks again for a fantastic blog. I hope you are not “Dale Shultz’ed” or “Mike Ellis’ed” because of your independence. He’s business’ guy, right? And for the working class person who votes for him, he’s crafted a personality cult atop a little pile of wedge issues and doublespeak. But business interests are solidly behind him, aren’t they? Yes, but that wasn’t my point. Sorry — I did find the post to be refreshing. I’m just frustrated to find little waivering in support from suburban management enclaves for anything and everything undertaken in this race to the bottom. People who lean the other direction feel like we’ve been designated enemies of the state. And many of us are terribly surprised — we had Gov. Walker (and Fitzgerald, et al) pegged. And as Mr. Kraus infers, none of us matter — which we already knew. Thx for defending the Wi idea! Public Input and strategy that sounds like a radical idea…. Not only did Walker never once mention his plans to slash the budget for the UW system, he specifically promised that Wisconsin would end this budget with a $535-million dollar surplus that would allow us to “invest in our priorities,” like more funding for the UW system. It’s a relief that people are finally figuring out that Scott Walker is perhaps the most dishonest and cynical politician that Wisconsin has ever seen. Fool us once, shame on you. Fool us two or three or four or more times, shame on Wisconsin.